Antarctica is the world’s most pristine environment; its dramatic coastline beckons with stark beauty, and the surrounding seas teem with abundant marine life. Residents & Guests aboard The World were able to experience this awe-inspiring part of the globe under the guidance of an expert Expedition Team over the holidays. The Ship journeyed through the Drake Passage accompanied by albatross, was greeted by numerous penguin colonies on the Shetland Islands, sailed into the caldera of an active volcano on Deception Island, and navigated the islands, ice cliffs, and channels of the Danco Coast by Zodiac before rounding historic Cape Horn and returning to the stunning cliffs of Ushuaia, Argentina. The Expedition then followed in the wake of Ernest Shackleton and his team. After absorbing the historic significance of Elephant Island, where Shackleton’s men spent four dark months awaiting rescue, the journey continued to South Georgia. King penguins and fur seal pups greeted the Ship in Historic Grytviken, home of Shackleton’s grave. 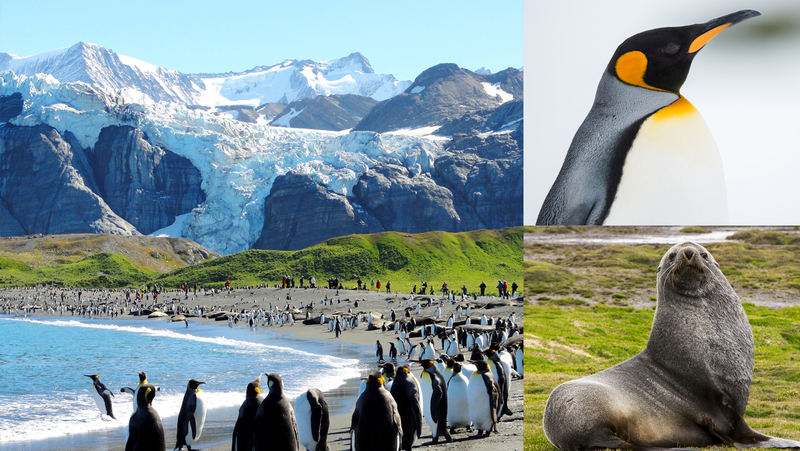 Breeding penguins, elephant seals, grey albatross, and fjords made for a photographer’s dream. Westward, the Falkland Islands offered warmer temperatures, windswept scenery, friendly locals, and a bird lover’s paradise. The journey ended in Puerto Madryn, Argentina where participants reflected on the life of Shackleton and the memories they made on this exhilarating Expedition. A once-in-a-lifetime adventure that will be regaled each year at holiday gatherings well into the future.